The NBQSA (National Best Quality Software Awards) Awards ceremony was held yesterday night and WSO2 won six awards with WSO2 Application Server (WSO2 AS) winning the overall Gold. Being the product manager of WSO2 AS, I’m extremely happy and proud about this outstanding achievement of being the best software product in Sri Lanka. I would like to thank Hiranya for presenting WSO2 AS in NBQSA while I was out of the country and he’s done a great job. 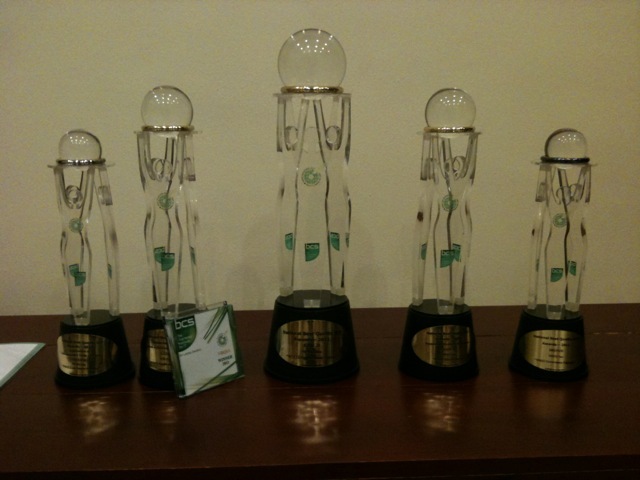 And also I would like to congratulate G-Reg, IS and Carbon teams as well for winning awards. WSO2 AS is the oldest WSO2 product. Initially it was started as “WSO2 Tungsten” and then renamed to “WSO2 Web Services Application Server” and then to “WSO2 Application Server”. There are plenty of past members of the team who contributed a lot to the success of the product and I should thank all of them. Azeez (Currently the Director of Architecture) was the first product manager of WSO2 AS and he did a great job in getting the product into this level. And also people like Saminda, Chinthaka, Deepal, Sumedha, Amila and Sameera were some of the past members who has contributed a lot to the success of the product. In addition to that, I should thank SupunM who’s currently working full time on WSO2 AS. So the next step will be the APICTA competition in which the best products from lot of other countries compete for the best of the best. Looking forward to do our best in that as well.